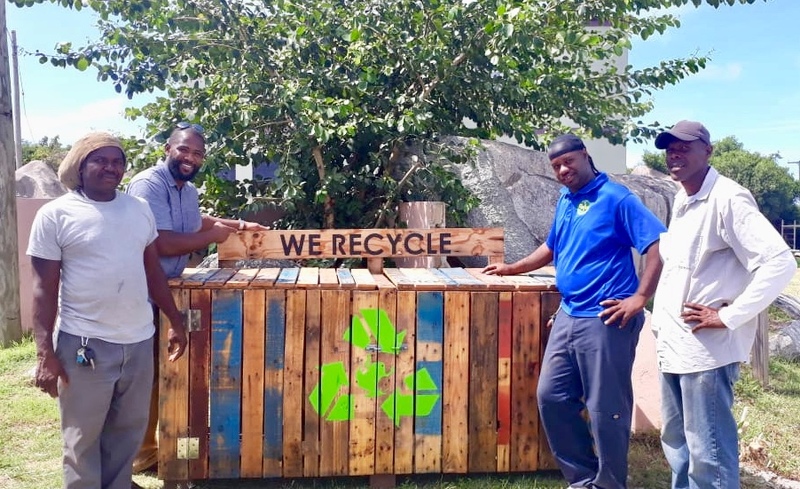 The Department of Waste Management (DWM) announces the revitalizing of the recycling programme in Virgin Gorda in an effort to reduce the Territory’s dependency on landfill disposal. Manager at the Department of Waste Management, Mr. Greg Massicote said the initiative is being done through the ongoing partnership between the department, Green VI, sponsors and other stakeholders. Mr. Massicote explained that a pilot recycling programme was first introduced on Virgin Gorda and Jost Van Dyke with the intention to expand throughout the Territory prior to the 2017 disasters. 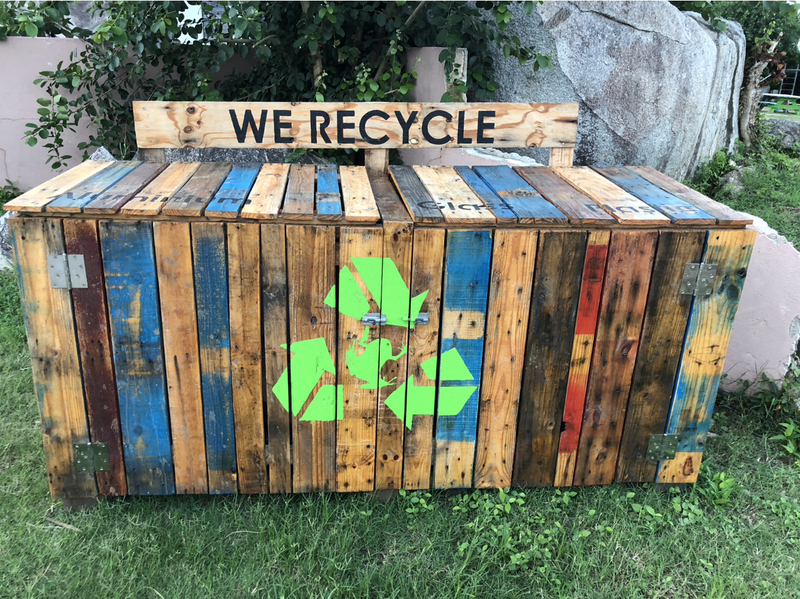 Additionally, recycling bins that were destroyed in 2017 have been replaced with new and improved eco-friendly wooden recycling bins. The bins have been placed in various locations including Valley Day, Top Dog and Pinch a Penny. The programme is expected to extend to more places throughout the island and eventually throughout the Territory. The bins vary in size to accommodate individuals and families and are designed with compartments for aluminum cans, plastics and glass. Mr. Massicote made special mention of the two local artisans Gleason Brooks and Rashley Bobb who made the bins out of wooden pallets. “This sends a message about how serious we are about waste diversions and recycling in the Virgin Islands. Once placed in the compartments, recyclables will be collected and taken to the local recyclers to be transformed or exported out of the Territory,” he said. The Manager also stated that a team is currently working on an electronic application for use on phones, tablets or computers to assist residents in locating recycle bins that are closest to them. The public is reminded to practice the ‘3R’s’ Reduce, Reuse and Recycle as much as they can by using reusable shopping bags or personal water bottles.